Dementia takes the patient on an emotional journey that can be compared to time traveling. Memories fade, beginning with the most recent ones and, gradually, older memories are affected as well. As a result, patients travel emotionally back in time, often reliving past events as if they were current. Past accomplishments and sorrows, long-resolved relationships, jobs, responsibilities, traumas, victories, and defeats: all these experiences and the feelings they elicit return with renewed importance when dementia turns back the clock. Alzheimer’s disease is the most common cause of dementia in the United States, affecting more than five million Americans. Three million additional dementia cases are estimated to be related to other neurologic conditions, such as Lewy body disease, frontotemporal dementia, and vascular dementia. Although all people, regardless of background, are at risk for developing dementia, the effects of this devastating condition are unique to each individual—unique not only because we all have different medical concerns, but also because each of us has followed a unique path in life. The experiences we have amassed throughout our lives deeply affect how dementia manifests itself. As the emotional clock ticks backwards to earlier years, veterans living with dementia may find themselves reliving their service years. All the feelings associated with that time of life return in full force. Many veterans with dementia feel trapped in a state of war from which they cannot emerge. Time has been turned back and they are now stuck in their worst days, reminiscent of the cruel loop we saw in the movie, Groundhog Day. They can relive the traumas and feelings of anxiety, suspicion, fear, loneliness, and the need for the alertness for self protection and the urge to fight back. All those issues that may have resulted in Post-Traumatic Stress Disorder (PTSD) return to stay, and the veteran inhabits that space and is unable to shake off those experiences. Patients with dementia cannot control these emotions. PTSD-therapy does not work because dementia has robbed them of the very cognitive abilities necessary to process it. Many times, these emotions are manifest in acts of self-isolation, resistance to care, agitation, and suspiciousness. Depending on the severity of the stress experienced during their service, veterans may now suffer from strong Behavioral and Psychological Symptoms of Dementia (BPSD). It is a hard place to be stuck, both for the patient and for his loved one. Families of veterans with dementia must learn to understand the uniqueness of their experience and work closely with doctors and professional caregivers to alleviate these symptoms. Medications can take the edge off of the most severe symptoms, but must be administered with extreme caution and under the strict supervision of a qualified medical specialist. Other helpful interventions include social activities in nurturing settings and the adoption of a daily routine, both of which can bring a sense of safety, acceptance, and belonging to the patient. Promoting positive feelings helps to demote the negative ones. Attending programs that offer structured daily activities can be beneficial to veterans who rely on stable social settings that will provide for their need to feel safe. There are support groups that use acceptance and humor to help veterans counteract possible underlying negative feelings. Making new friends and finding camaraderie while benefiting from reassuring supervision can greatly increase their ability to suppress PTSD-related symptoms. Support for attendance in day programs and other beneficial interventions is available. The U.S. Department of Veterans Affairs (VA) recognizes the veterans’ special circumstances and provides assistance to qualifying veterans to pay for such programs. 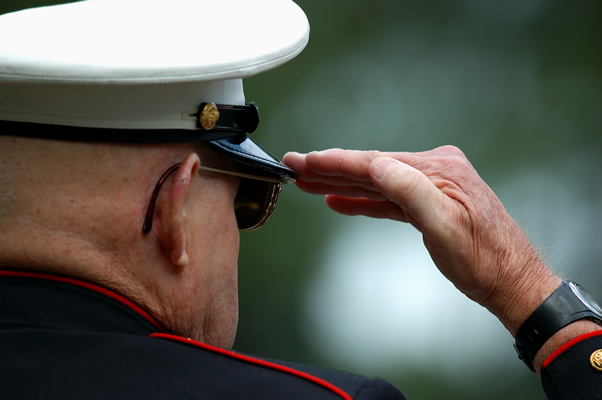 To qualify, the veteran must be eligible for receiving VA health care benefits. Eligibility for VA health benefits has different requirements than those required by the VA for financial assistance. While there are a number of requirements for financial assistance (service during wartime, service-related injury, and income, among others), most veterans are eligible for health care services from the VA.
Having served a continuous 24 months (only for those enlisted after 1980). If a veteran is not already enrolled in the VA health system, the veteran or his/her family can use the simple form 10-10EZ to enroll. The form is available to download from the VA website and it must be submitted with a copy of the discharge papers. Approval is quick (generally within a couple of weeks) and, once approved, the veteran can see a VA doctor at any of the thousands of VA clinics and hospitals in the country. The VA has many primary care physicians and neurologists specialized in dementia and memory care who can manage PTSD and BPSD symptoms, and may also recommend other beneficial interventions, such as attendance of day-care centers. A report from a VA doctor with express recommendation for attendance to a day program is required for this kind of assistance. It must be submitted with an Extended Care Services form 10-10EC (also downloadable) and approval can be expected in just a couple of days. Most day centers have staff that can help families through the process. In addition to providing for attendance to day programs and receiving medical assistance, the VA may also cover residential care in one of its qualified VA care facilities, should a veteran require custodial or memory care. This can be of great value to veteran families who may not have planned in advance for the costs associated with residential memory care, which are mostly out of pocket. The needs of veterans living with dementia are unique. They should use every resource available to keep reminding them that they are in a safe place, and they are loved and appreciated. Please consider every program available in your community and contact your local VA office for more information. Previously published by the Alzheimer’s Association.